We are committed to providing you with the best quality at an affordable price. Sourcing only the best materials available, from the Owens-Corning Limited Lifetime Warranty Shingles to the pressure-treated skids. We carry all manufacturer’s warranties as well as our 5-year Workmanship Guarantee on all our structures. 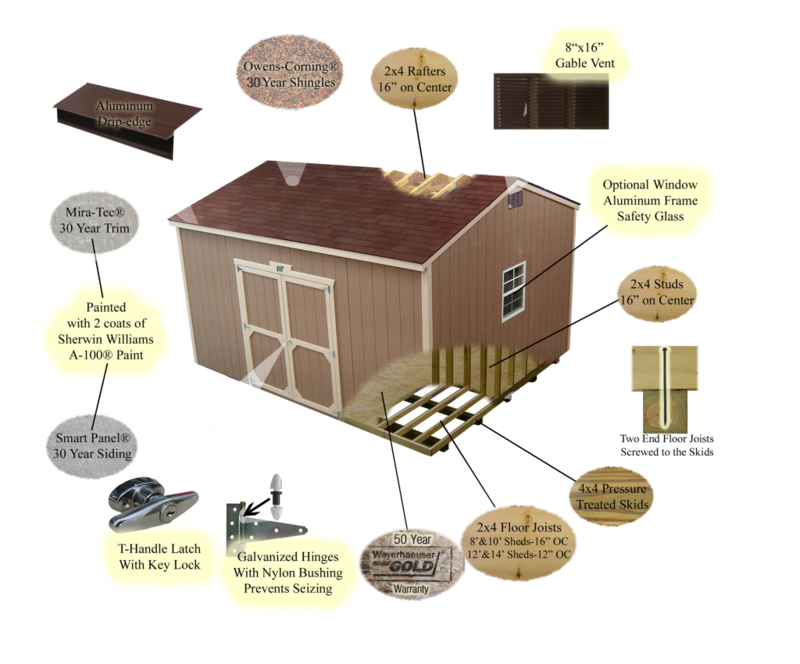 Give us a call for more information on our quality built storage buildings. We also carry a wide range of outdoor living products, from Elegant Gazebos to our line of recycled poly furniture, we have what you need to create your very own Backyard Oasis!